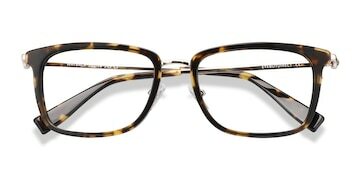 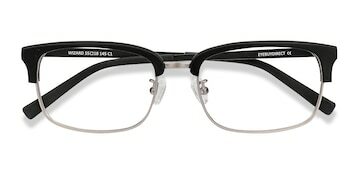 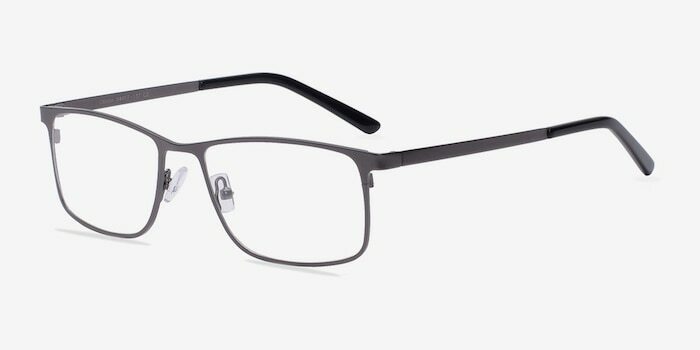 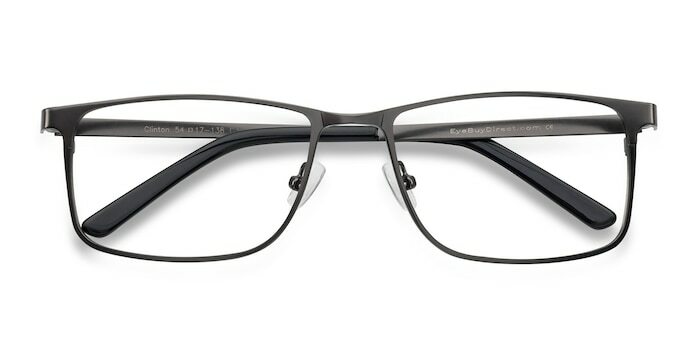 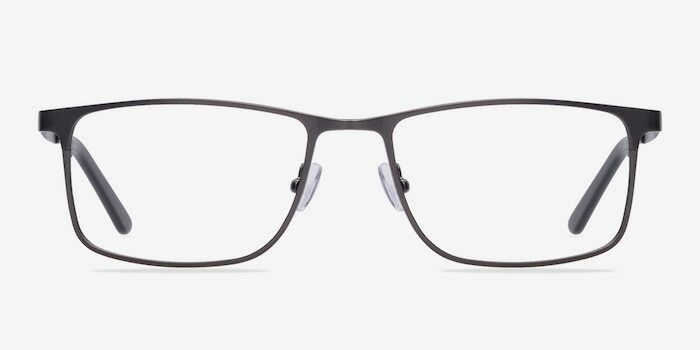 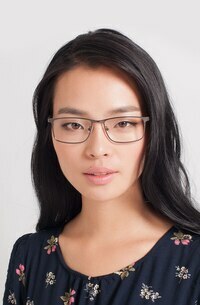 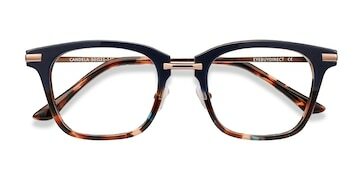 These gunmetal eyeglasses are stark and straightforward. 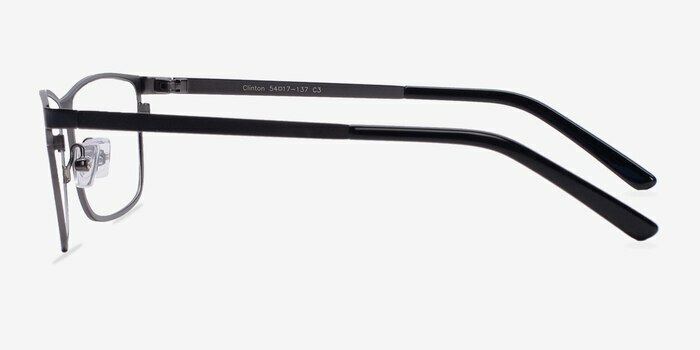 This enduring design features a matte gunmetal frame front surrounding softened rectangular lenses. The complementing black temples are unadorned and slender. 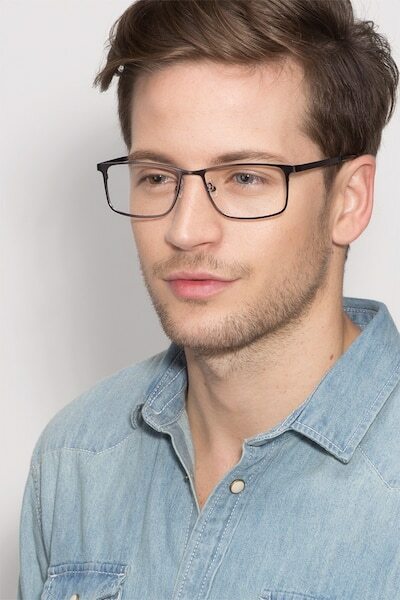 Adjustable nose pads make this look suitable for both men and women.